Ownerscars has a Cala’n Blanes Car Hire office located next to the Palmeral Park in the urbanization of Cala’n Blanes, in the municipality of Ciutadella. 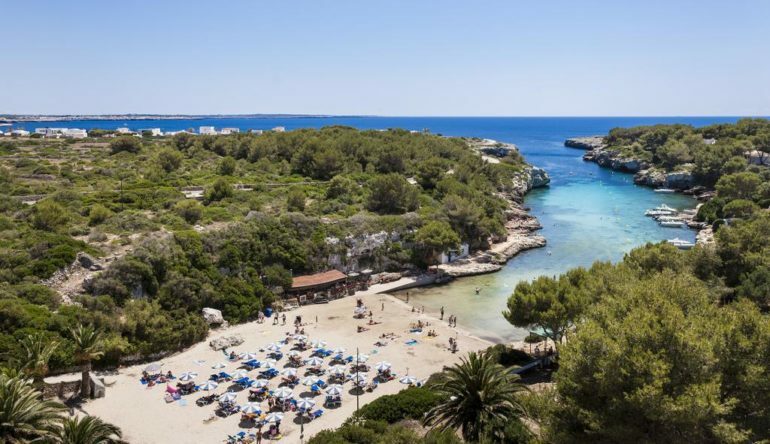 Take advantage of the best available prices and book your car hire Cala’n Blanes, with the quality and service of the company Ownerscars, the leader in car hire in Menorca. Cala’n Blanes was one of the first coves in Ciutadella to be built. Its seabed is a combination of stones and sand. At the back of the beach, there is an interesting picnic area that has the shade of a small group of palm trees. Make a reservation in our website in advance to benefit from the cheapest prices and receive immediate confirmation. We do not charge additional fees for cancellations and / or modifications. You will pay the rent total when you rent your car hire in Cala’n Blanes. All of our car hire Cala’n Blanes include VAT, full-time insurance with a franchise, unlimited mileage, and roadside assistance 24 hours a day.